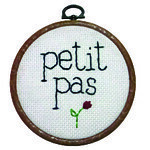 .petit pas: happy TWO YEARS giveaway. Its been two massive years since we started this blog. Woah time has flown. It has been so much fun for us to share our lives and adventures through this blog, and we wanted to stay thank you to all our readers around the world. Today we are so excited to announce a giveaway from the lovely Andrea from Paper Sparrow Art and Music. Andrea creates beautiful music and animal themed pieces of art which are bound to make you smile. We can't get enough of the plush toys, paintings and of course this gorgeous print. 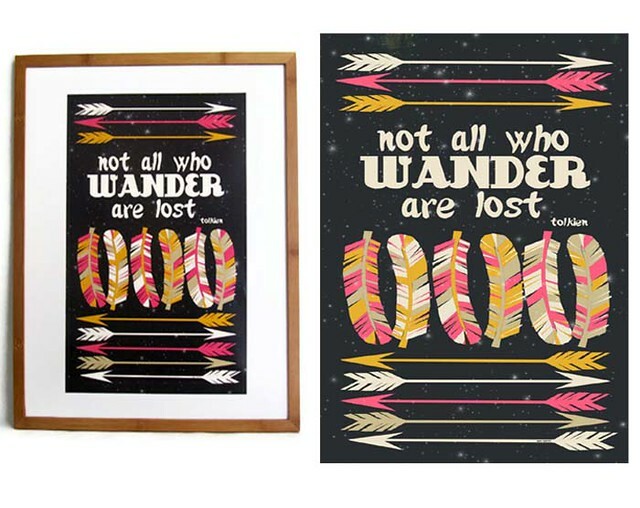 To be in the running to win a copy of the "not all who wander are lost" print, head to the Paper Sparrow ONLINE STORE and comment below letting us know what your favourite item is. Share this giveaway on twitter or follow our blog and let us know you've done so in a separate comment. hello hello... we love hearing your thoughts... so tell us what you think right here!